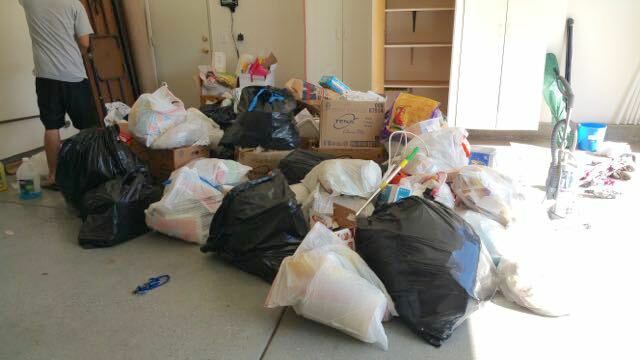 From $49 – $297, We have moving trash haul away solutions to fit every need. 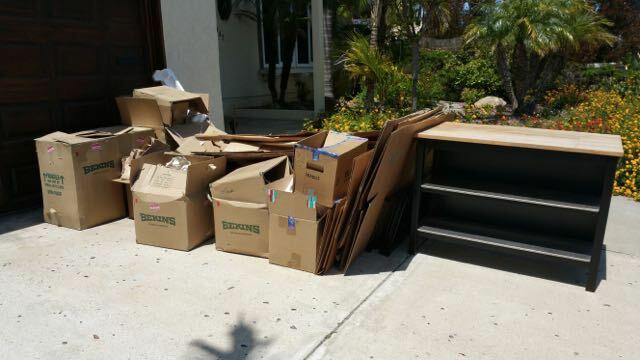 Our curbside moving trash removal prices are the best in San Diego and have made us the top choice for trash disposal since 2005. Book your trash haul away online today to lock in your low price and we’ll take care of the rest. 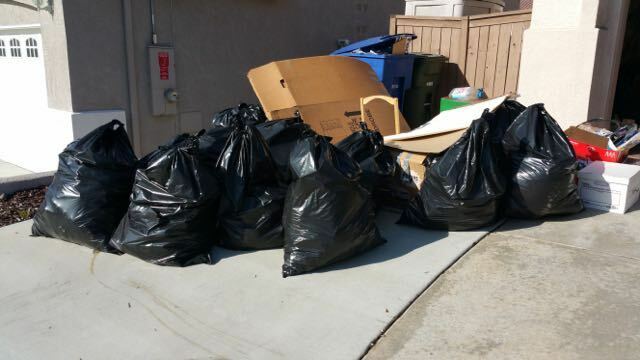 Curbside Trash Removal – we’ll haul away your trash from a drive up location such as the driveway, alley or garage. 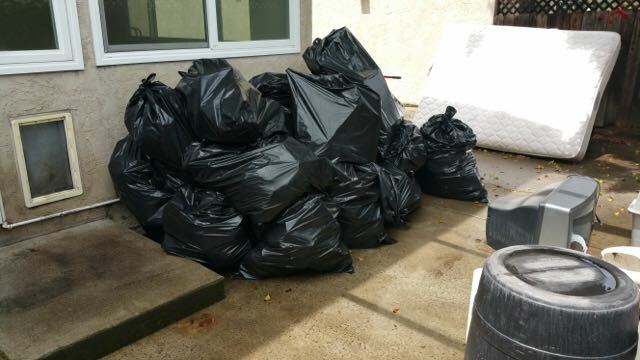 Full Service Trash Removal – Let us do all the lifting and loading, we will remove your trash from indoors, upstairs or back yard. 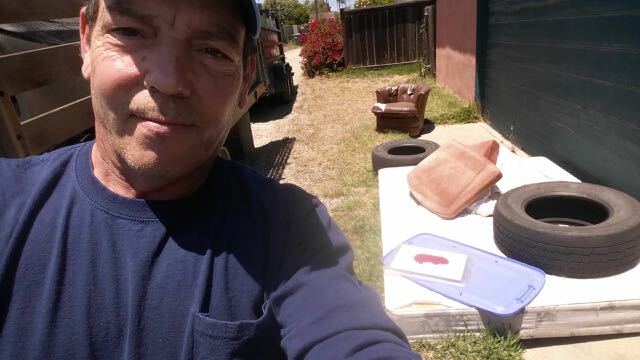 We all have weekly trash pick ups, but they are usually limited to a couple of trash cans worth of household trash. 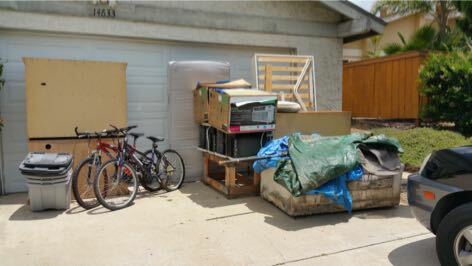 If you have moved in or out of a property you will generate more trash than a normal weekly collection can accommodate. 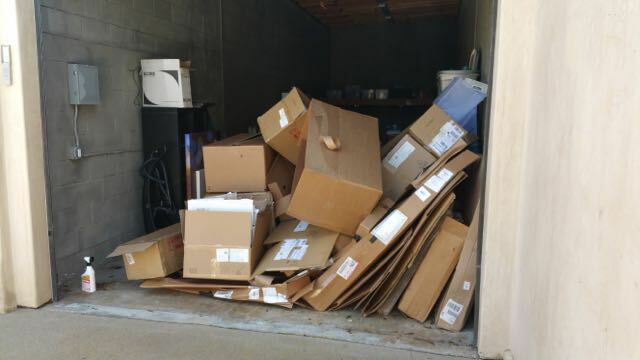 Our low prices and quick availability make Fred’s Junk Removal the perfect solution for getting rid of a lot of moving trash such as cardboard boxes. packing paper in one easy appointment. Moving trash is usually hauled away by the truck load. 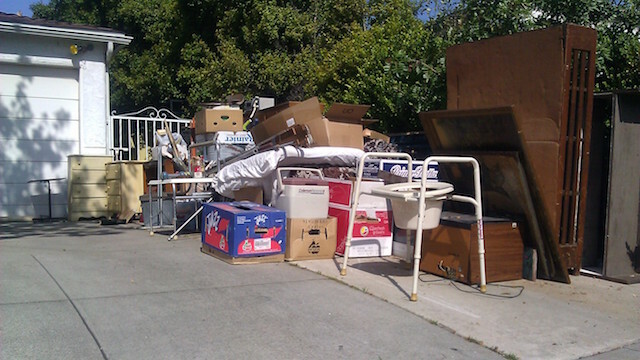 Fred’s Junk Removal has several truck load options that will fit every need and budget. 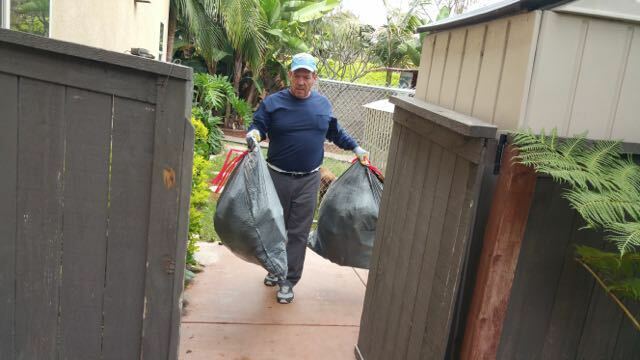 Here are several examples of moving trash haul aways we have done in San Diego. 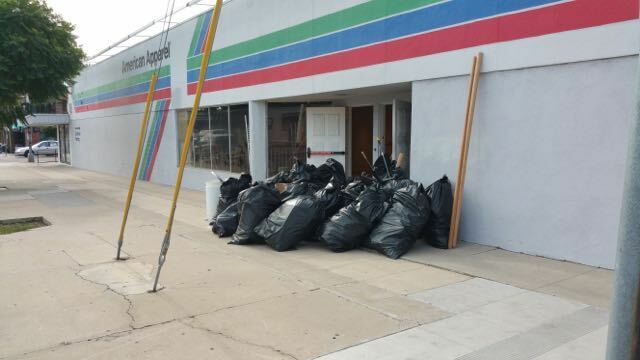 A retail store was moving out and generated about 35 bags of trash. 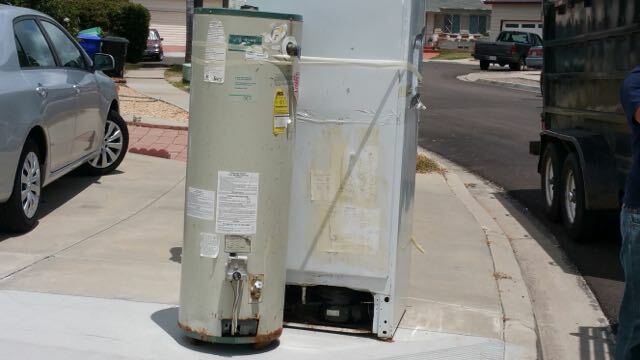 This curbside removal of a 2/3 truck load cost only $198. They we so happy they called us again after moving into their new location.